THE ACCOUNTANT (2016) MOVIE REVIEW! I liked/loved GRAVIN O’ CONNOR’s film WARRIOR (2011). But after that he has gone downwards, he didn’t make any movie, except for T.V movies which weren’t that good. I had a high expectation with JANE GOT A GUN (2016) that also was a disappointment, all my hopes were on this film. 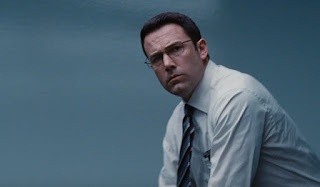 Altough, I don’t like BEN AFFLECK, I’m sorry to his fans, but he just seems almost same in all movies. But, YEAH that guy is a better director then actor ;). The storyline of this film is, Christian Wolff (Ben Affleck) is a mathematics savant with more affinity for numbers than people. 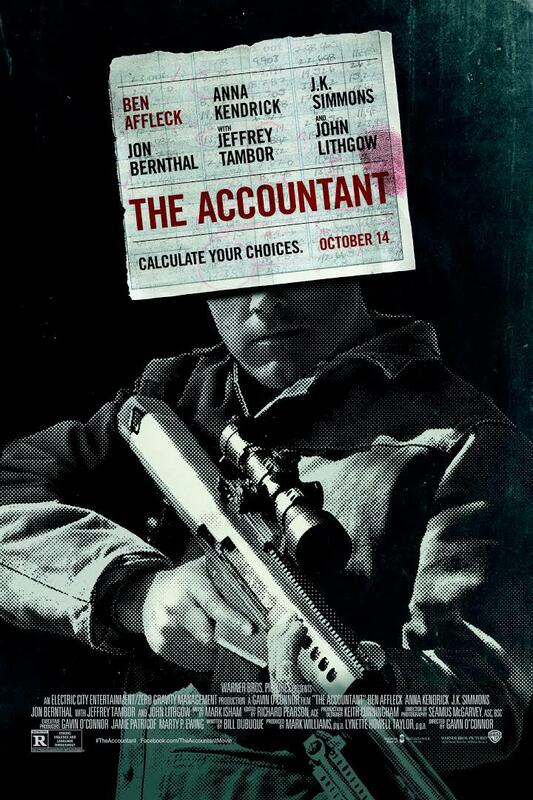 Using a small-town CPA office as a cover, he makes his living as a freelance accountant for dangerous criminal organizations. With a Treasury agent (J.K. Simmons) hot on his heels, Christian takes on a state-of-the-art robotics company as a legitimate client. As Wolff gets closer to the truth about a discrepancy that involves millions of dollars, the body count starts to rise. First of all, this film seemed a little unrealistic to me, YES there are lots of genius in the world but, okay a boy is very intelligent he is a genius, he can do PUZZLES being upside down, Okay somehow maybe realistic. 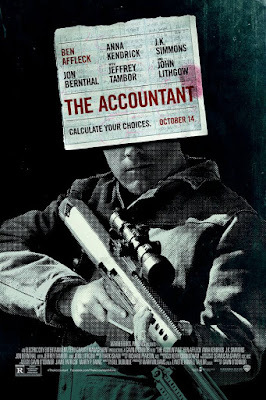 He grows up and becomes an accountant, but besides all the intelligence he can kick asses too, yes he can shoot a gun, he can fight. 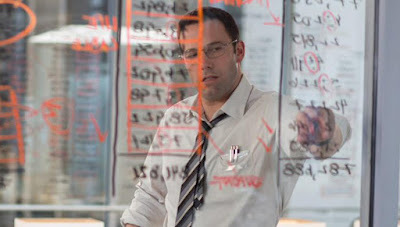 That makes a conclusion to me that, JASON BOURNE + GOOD WILL HUNTING! DOES THAT SEEM REALSTIC, okay the maybe can be realistic, leaving that aside lets talk more about the film. This movie takes a lot of time to get into the storyline, it is full of flashback from BEN AFFLECK’s childhood, they also show how his parent’s delt with him. His father was an ARMY officer, and right since his childhood he used to take him to places where people used to FIGHT. This movie takes a lot of time setting up it’s character. It is a good thing to create a feeling for the character but not so much that you almost take half of the movie to cover up that topic, and not the main storyline. This film is slow at times, but not for whole lot while. 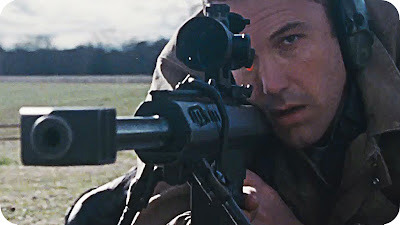 Performances- BEN AFFLECK as I said I am not fan of, but yeah he was decent in the film, but In my opinion he overacted at moments, but overall a good decent performance. 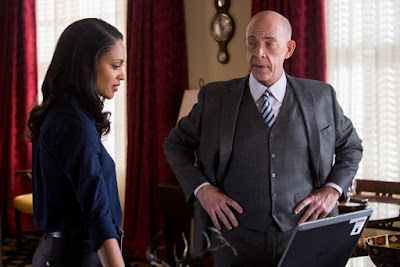 JK SIMMONS was brilliant in the film, I have been a big fan of his since when I was little and saw him in SPIDERMAN, and in the latest 2014’s WHIPLASH, which earned him THE OSCAR. Other’s had little role’s here and there, and they were quite good at it. This movie has a very unconventional narrative, There are some scene’s when you watch leave a question mark but later they are answered. It is a movie which you would have to pay high amount of attention to the dialogue and what’s going on. It has lots of genre’s in it, it has romantic comedy in there as well, and sometimes it dosen’t work at all, it seems out of the way at moments, The tone is broken sometimes There are lots of explanation made by a person especially during the end, and he keeps going on with his explanation for while, it’s good he is giving the information, but come on dude cut the crap, they could have some other technique to tell that. Overall, I had a good time, but this movie really needed to do some things better then it did, the one’s I mentioned. It didn’t feel a thriller to me. But anyway, I appreciate the fact that they experimented something but that didn’t work out. 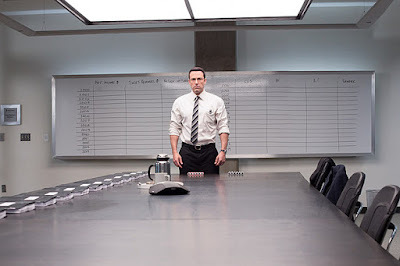 But, if you are a fan of AFFLECK or O’ CONNOR you would enjoy this film. Surely check it out, despite the flaws, there are lots of GREAT movie ‘s this FRIDAY, and this was the one that I was eagerly waiting for YET DISAPPOINTED!